Big Smith work clothes for work, or on the go. A wide variety of sizes are available. 11" twill work short with button close waist. Two front and rear pockets. Button close left rear pocket. 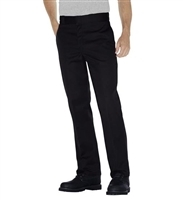 Regular fit twill work pant with button front close and tunnel belt loops.